Zendesk Inc (NYSE:ZEN) investors should pay attention to an increase in hedge fund interest of late. ZEN was in 44 hedge funds’ portfolios at the end of September. 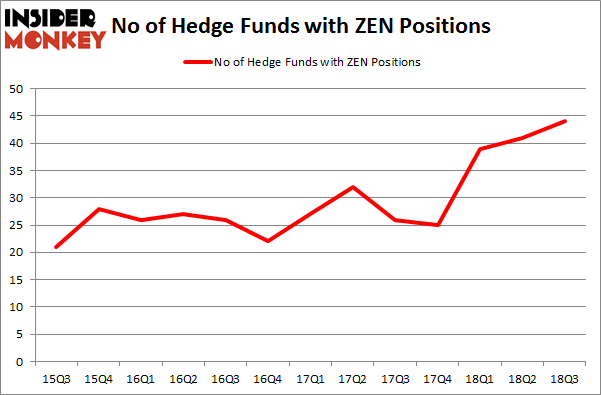 There were 41 hedge funds in our database with ZEN holdings at the end of the previous quarter. Our calculations also showed that ZEN isn’t among the 30 most popular stocks among hedge funds. In the 21st century investor’s toolkit there are numerous methods shareholders employ to assess their stock investments. Two of the most underrated methods are hedge fund and insider trading sentiment. Our researchers have shown that, historically, those who follow the best picks of the best money managers can outpace the broader indices by a very impressive margin (see the details here). We’re going to take a gander at the fresh hedge fund action encompassing Zendesk Inc (NYSE:ZEN). Heading into the fourth quarter of 2018, a total of 44 of the hedge funds tracked by Insider Monkey were bullish on this stock, a change of 7% from the previous quarter. Below, you can check out the change in hedge fund sentiment towards ZEN over the last 13 quarters. So, let’s check out which hedge funds were among the top holders of the stock and which hedge funds were making big moves. More specifically, Tiger Global Management LLC was the largest shareholder of Zendesk Inc (NYSE:ZEN), with a stake worth $223.2 million reported as of the end of September. Trailing Tiger Global Management LLC was Alkeon Capital Management, which amassed a stake valued at $170.4 million. Citadel Investment Group, Whale Rock Capital Management, and EMS Capital were also very fond of the stock, giving the stock large weights in their portfolios. As one would reasonably expect, some big names were leading the bulls’ herd. 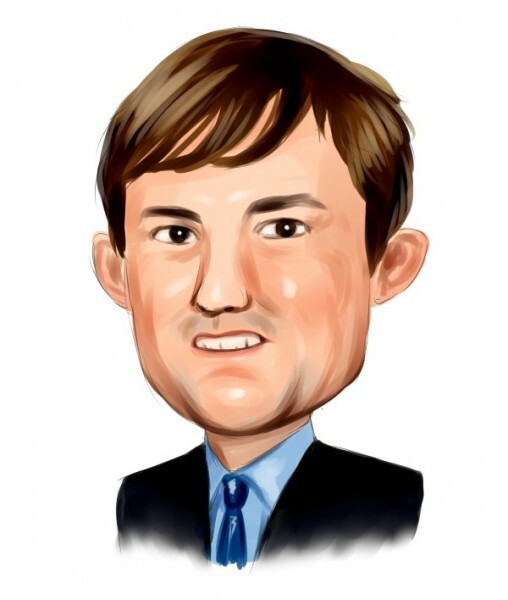 Tiger Global Management LLC, managed by Chase Coleman, created the most outsized position in Zendesk Inc (NYSE:ZEN). Tiger Global Management LLC had $223.2 million invested in the company at the end of the quarter. Stanley Druckenmiller’s Duquesne Capital also initiated a $29.5 million position during the quarter. The other funds with new positions in the stock are Louis Bacon’s Moore Global Investments, Seymour Sy Kaufman and Michael Stark’s Crosslink Capital, and Nick Niell’s Arrowgrass Capital Partners. Let’s also examine hedge fund activity in other stocks similar to Zendesk Inc (NYSE:ZEN). These stocks are Donaldson Company, Inc. (NYSE:DCI), Telecom Argentina S.A. (NYSE:TEO), Helmerich & Payne, Inc. (NYSE:HP), and Fortune Brands Home & Security Inc (NYSE:FBHS). All of these stocks’ market caps resemble ZEN’s market cap. As you can see these stocks had an average of 23 hedge funds with bullish positions and the average amount invested in these stocks was $300 million. That figure was $1.79 billion in ZEN’s case. Helmerich & Payne, Inc. (NYSE:HP) is the most popular stock in this table. On the other hand Telecom Argentina S.A. (NYSE:TEO) is the least popular one with only 9 bullish hedge fund positions. Compared to these stocks Zendesk Inc (NYSE:ZEN) is more popular among hedge funds. Considering that hedge funds are fond of this stock in relation to its market cap peers, it may be a good idea to analyze it in detail and potentially include it in your portfolio.